A vast green area as large as Milan, Cassia Flamina (prime area) is a suburban area consisting of three prime residential districts: L'Olgiata, Camilluccia, and Via Cassia. 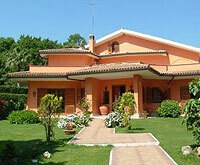 One of the most prestigious and expensive quarters in Rome, the Olgiata consists of villas with lavish gardens. The district combines the charms of country living with the convenience of living close to the city. The residents are quite affluent and enjoy the amenities of the Olgiata Country Club, the Olgiata Golf Club, and the Equestrian Club. If you opt to live here, you will need a car, as public transportation is problematic even though the Olgiata has a railway line to the St. Peter's station in Rome. Despite the area's proximity to Rome, it takes some time to drive into the city due to heavy traffic. A quiet residential district, Camilluccia is set apart from the city. 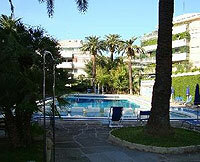 It is made up of compounds, most equipped with swimming pools, tennis courts, and communal gardens. Some supermarkets can be found at Via Trionfale. Camilluccia has very few restaurants, though, and nightlife is absent. There is also a problem with lack of public transportation here. This residential area along an old Roman consular road to the northwest is a favourite with expatriate families because of the international schools around here: The American Overseas School of Rome, St. George's International School, Marymount International School, and Kendale Primary International School. The consular road Via Cassia tends to get quite congested as everything is located here - shops, supermarkets, and residential compounds. The secluded compounds usually feature swimming pools, tennis courts, and communal gardens. There are no interesting sights here, and the area is rather far from Centro Storico. Because of lack of good public transportation, you will need a car to get around easily, but unfortunately the traffic can be very bad in the rush hour.